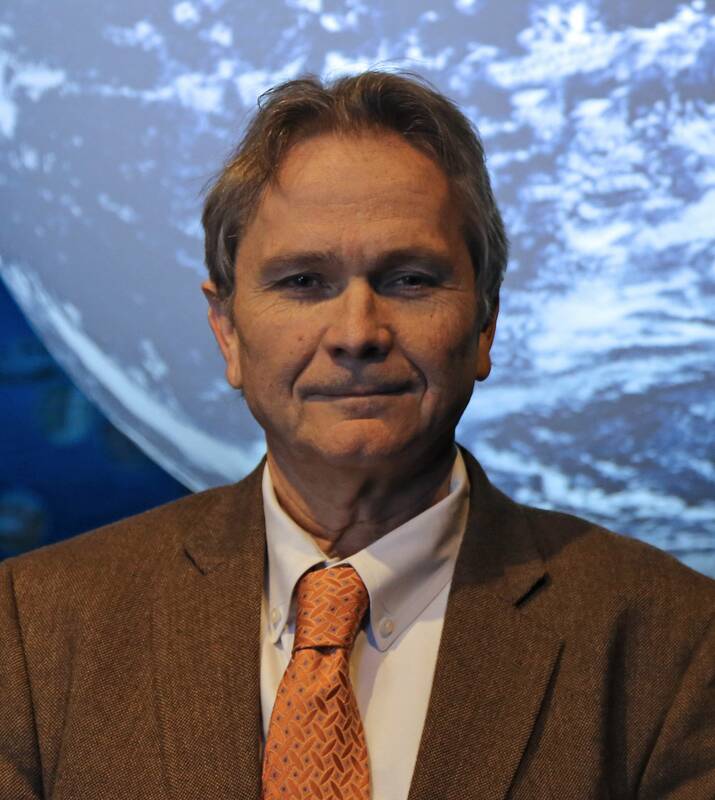 NOAA announced the appointment of Cisco Werner, Ph.D. as the new Director of Scientific Programs and Chief Science Advisor. As Director, Dr. Werner will continue the work of planning, developing and managing a multidisciplinary scientific enterprise of basic and applied research on the living marine resources. He assumed his new role on June 12, 2017. Prior to being named Director of Scientific Programs and Chief Science Advisor, he served as the Director of NOAA Fisheries’ Southwest Fisheries Science Center (SWFSC). Cisco brings extensive experience leading scientific efforts in the federal government and previously in academia as Director and Professor of Rutgers University’s Institute of Marine and Coastal Sciences and Chairman of the University of North Carolina at Chapel Hill’s (UNC-CH) Department of Marine Sciences. While at UNC-CH, Dr. Werner was the George & Alice Welsh Distinguished Professor from 2005-2008. From 2007-2017 he was co-Editor in Chief of the journal Progress in Oceanography. Cisco’s research has focused on the oceanic environment through numerical models of ocean circulation and marine ecosystems in the Atlantic and Pacific Oceans. He has studied the effects of physical forcing on lower trophic levels and the subsequent effect on the structure, function and abundance of commercially and ecologically important species, and he has authored and co-authored over 100 papers in scientific journals and book chapters. At the SWFSC with a staff of over 300 and a budget of $50M, Dr. Werner set the science priorities, and ensured delivery of the best scientific information to support our national mandates. In the international arena, Dr. Werner served as Head of NOAA Fisheries’ U.S. Science Delegation (HOD) in bilateral meetings with Mexico and Argentina, and as U.S./NOAA Fisheries’ HOD for the meetings of the International Scientific Committee for Tuna and Tuna-like Species in the North Pacific Ocean (from 2013-2015). From 2003-2007, Dr. Werner served as Chair of the Scientific Steering Committee of GLOBEC (the Global Ocean Ecosystem Dynamics Program), which focused on addressing the role of physical forcing, e.g., climate variability, in shaping our marine ecosystems. Cisco received his Doctorate in Oceanography in 1984, a Master of Science in Oceanography in 1981, and a Bachelor of Science in Mathematics in 1978, all from the University of Washington. From 2011 to 2017, Dr. Werner led the SWFSC, with over 300 science, technical and administrative staff and a budget of approximately $50M. Dr. Werner set the Center’s science priorities, and ensured delivery of the best scientific information that supports our national mandates. The geographic areas where the SWFSC conducts its science include the California Current, the U.S. west coast watershed, and parts of the North Pacific, the Eastern Tropical Pacific and the Antarctic. While Director of the SWFSC, Dr. Werner also served as Head of NOAA Fisheries’ U.S. Science Delegation (HOD) in bilateral meetings with Mexico and Argentina, and as U.S./NOAA Fisheries’ HOD for the meetings of the International Scientific Committee for Tuna and Tuna-like Species in the North Pacific Ocean (from 2013-2015). Cisco’s research has focused on the oceanic environment through numerical models of ocean circulation and marine ecosystems in the Atlantic and Pacific Oceans. He has studied the effects of physical forcing on lower trophic levels and the subsequent effect on the structure, function and abundance of commercially and ecologically important species. He has authored and co-authored over 100 papers in scientific journals and book chapters. Prior to joining NOAA, he was on the faculty of the Marine Sciences Department at the University of North Carolina at Chapel Hill‚ where he was Chairman and the George & Alice Welsh Distinguished Professor, and at Rutgers University where he was Professor and Director of the Institute of Marine and Coastal Sciences. From 2007-2017 he was co-Editor in Chief of the journal Progress in Oceanography. Cisco was Chair of the Global Ocean Ecosystem Dynamics Program’s (GLOBEC) Scientific Steering Committee: 2003-2007; Chair of the Gordon Research Conference on Coastal Circulation Modeling, 2007; member of the International Geosphere-Biosphere Program (IGBP) Scientific Steering Committee from 2003-2007; member of NSF’s ORION iOSC 2007 & Science and Technology Advisory Committee (STAC) 2005-2007; member of the U.S. GLOBEC Scientific Steering Committee from 2000-2007; co-Chair of the PICES MODEL Task Team, 2001-2007; and member of the International Council for the Exploration of the Seas (ICES) Cod and Climate Change (CCC) Working Group, 1995-2002.